A couple of years ago I found out I was quite seriously intolerant to cow’s milk. After a few years of uncontrolable sickness and toilet trouble (sorry, probably too much information in the first sentence of a blog post! ), endless visits to my GP that came to nothing, general misery and feeling like I wasn’t myself, I undertook a private blood test to get to the root of the issues. All that drama was caused by too many Starbucks lattes and Dominos pizzas… Who knew! Since then I’ve avoided dairy as much as possible, sticking to soya, almond and coconut milk, opting for mozzarella when I need a cheese fix and phoning ahead to restaurants to ensure they can accommodate my dairy free needs. Although it won’t kill me, accidentally eating something with a high concentration of cow’s milk can lead to bloating, pain, sickness, diarrhea, lethargy and generally feeling like I need to curl up in a ball until the worst is over. Despite that, my biggest downfall is chocolate. I know it’s going to upset my tummy, but I most of the time I still won’t think twice about nibbling on a bar of Galaxy because the instant gratification is just too good. Over the last few months I’ve been dabbling with dairy free alternatives after stumbling across them in health food shops (and most recently in my Christmas stocking!) but after the fabulous Gemma from Hello Gemma sent a link or two my way I’ve been obsessed with my wares from the online sweet shop Vegan Town. Chocolate without the side effects? Happy days. If you think these chocolate alternatives are going to cost you a small fortune, then you’d be wrong. Most of the sweet treats on site are only a few pence more than what you’d pay for a Mars Bar, while many actually work out slightly cheaper when bought in bulk. Not only do they have dairy free alternatives to the big slabs we all know and love, but they have their own versions of family favourites – including a vegan Bounty, Milky Way and Crunchie! The Mini Moos bars are some of my favourite, mainly because they’re handy for popping in my bag and are relatively easy to get hold of on the high street; they taste 90% the same as a normal chocolate bar, without a lot of the ingredients that can weigh us down. (Technically they’re meant for kids, but hey, we’re all big kids really.) I also love the raspberry Ruffles, which come in a multipack of five for only £1.99. They’re like a raspberry version of a dark chocolate bounty bar, filled with a tasty fondent-esque centre that I just can’t get enough of. Some of the ‘standard’ chocolate bars come in the most delicious flavours too, including black cherry and almond orange, so you don’t have to bypass a truly delicious treat when everyone else around you is scoffing from a box of Thorntons. As a white chocolate lover I’ve found it hard to track down anything that comes close to my personal favourites without being loaded with cream, but White Delight is rich and creamy – without the dairy! At £2.09 for a 100g bar, it’s not overly priced either. However, it’s the Booja Booja truffles that I’m practically having dreams about after first being bought a box for Christmas. Made with just 55% cocoa solids, cane sugar, almond paste, coconut oil water and sea salt, you can see from the ingredient list alone that these are a far better alternative to the chocolates we’re used to ramming down our throats. They taste delicious, rich in the natural flavour of chocolate rather than being filled with sugar, making them a healthier treat that doesn’t scrimp on taste. What I’ve really learned over the past few months in particular is that there are SO many dairy free and vegan alternatives available – if we just know where to look. As I discuss my intolerance and lifestyle choices more openly I feel like more and more of you join me in conversing about dairy free options, particularity as more and more of you are deciding to become a vegan. Unlike last year, when I ate my chocolate eggs little by little and suffered the (parping) consequences, this Easter I’ll be asking my family and friends to make a little order from Vegan Town instead… Because now I can even have my own dairy free alternative to a Creme Egg. Praise the Lord! Check out Vegan Town and all their different chocolate treats here. (No, this isn’t sponsored – I just genuinely spent a fortune on their site and wanted to share.) 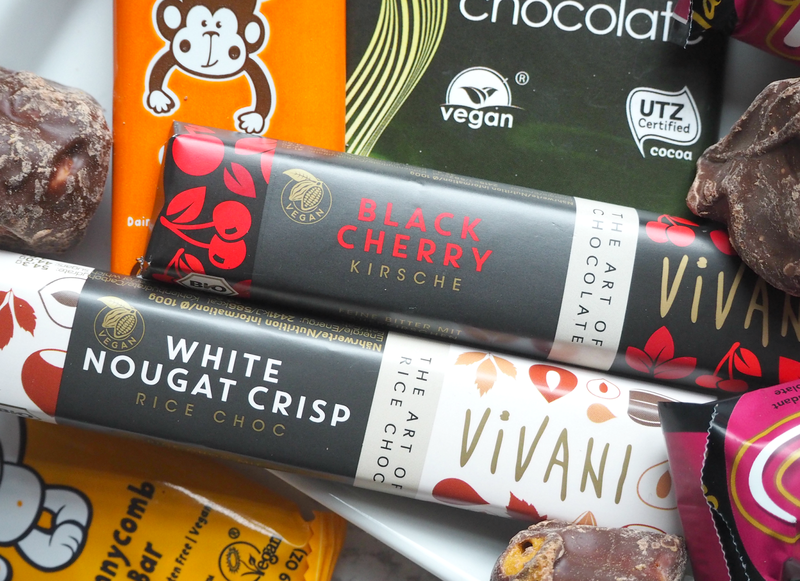 Do you have any other favourite dairy free or vegan yummy treats you think I should know about? Thanks for the link, my daughter is dairy free due to intolerance giving her the same symptoms you suffer. This will be a great site for finding her chocolates gifts for her birthday and a site she can use in the future if she likes what she receives. 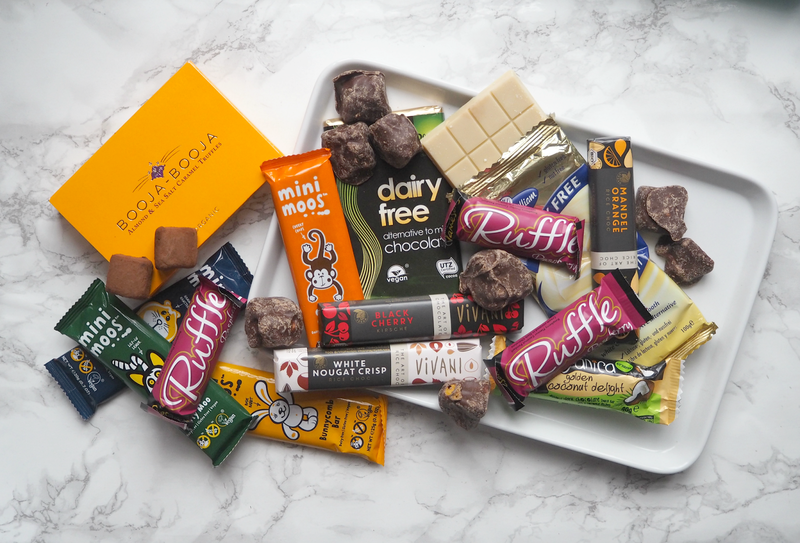 Great post, good to hear there are plenty of dairy-free alternatives for chocolate. I have Crohns disease so I have to go lactofree, or I suffer too. It has to be made with cocoa for me, not carob, they do taste different. And I am not keen on dark chocolate either, so I'm not an easy customer!